GRAND RAPIDS May 20, 2015– Each month, the west Michigan labor community partners with a different church to host a Feeding America mobile food pantry, and union members from across west Michigan volunteer their time to help distribute the food to families in need. The next three food trucks are scheduled to take place on May 21, June 18 and July 16. May’s food truck will be at Plymouth United Church of Christ in Grand Rapids. May 21, 2015: Plymouth United Church of Christ, 4010 Kalamazoo Ave SE, Grand Rapids. 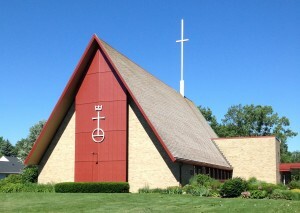 June 18, 2015: Grace Christian Reformed Church, 100 Buckley St SE, Grand Rapids. July 16, 2015: The Springs Church, 135 N Grant St, Cedar Springs. Unless otherwise noted, volunteers should meet at the church at 3:30pm, food distribution starts at 4:00pm and continues until food is gone (usually takes about an hour). Anyone is welcome to come and volunteer their time to help distribute the food. The trucks– provided by local unions, Feeding America West Michigan and Heart of West Michigan United Way– hold 5,000 pounds of produce, baked goods and other food items. Anyone who is in-need is welcome to come and receive food, no questions asked. This entry was posted on May 20, 2015 by WMALC in Community service news and tagged Cedar Springs, church, Feeding America, Grand Rapids, United Way.